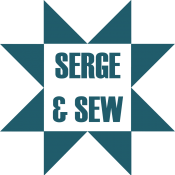 Dear Serge & Sew Customers. We're having a very special event and you're invited! Please join us on [Tue. 27.Jan] at [Serge&Sew] as our guest at [Baby Lock Event]! Featuring baby lock sewing machine Crescendo from 11:00-12:00am. baby lock sewing and embroidery machine Destiny from12:30-1:30pm. baby lock sergers Imagine, Evolution and Ovation from 1:30-3:00pm. Show casing many optional serger feet and accessories. Come with your questions Donna has the answers. Donna will display baby lock mini trunk show. Test drive a babylock and receive entry form for door prize + many instore surprise sales too.